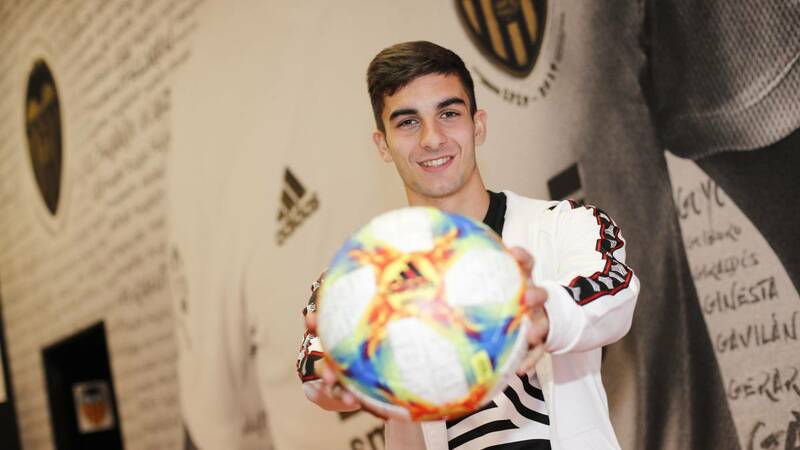 Home Soccer Ferran: "Right now we are at a stratospheric level"
Ferran: "Right now we are at a stratospheric level"
Ferran Torres, Adidas' latest addition, has settled this season at Valencia. It has gone from less to more, like the team. It is the future of the club. Ferran Torres is living a dream season. All squad aspire to reach the first team and fight for titles. And that is what Foios has achieved and is doing. At 19, the multinational Adidas has added to its talent list. Ferran is part of the new campaign, as well as Joao Felix (Benfica), Aleñá (Barcelona) or Moise Kean (Juventus). Ferran attends AS in the theater of his dreams: Mestalla. How is he dealing with this special season as it is the Centennial? I'm very happy to celebrate the Centenary as a player of the first team, is what every child dreams of small. They are alive in all competitions. What changed? One of the most decisive factors is that we are grouped more as a team. Nobody on the team, as Parejo said, wanted to give the season by loss and we have shown it. We are where we deserve. How do you face this final stretch of the season? Do you think much about the Cup? Nos we play a lot from here to the end of the season. Each shock is a final. Right now, the last thing we think about is the Cup because it's the last game. Let's go match to match because we play our lives. How do you find yourself personally? I started a little loose and did not play much. I, too, like the team, I managed to turn the situation around and now I feel more protagonist. Yes. Now I feel like a player of the squad and I feel important within her. It is a pride and that means that the coach trusts me and that I have given reasons for me to put on. I have managed to earn a place. In bad times you learn a lot and it makes you mature. It is a facet that every football player has to live. What do you mean by those bad moments? When he saw that he was not playing or that the team was not doing well. At that time I learned a lot, especially in changing the mentality. Within the field I am living what is a full year in First. In the Selection is key and protagonist. Did it cost him to understand that Valencia was going to have another role? No. I am young and there are players with more years and more weight and I have to go winning. Where was the turning point of the team? Más that a game I think it has been a matter of streak. But it is true that after the game against Celta we made a radical change that has brought us here. Now we are at a stratospheric level and we have seen the real Valencia. Do you have that party of Balaídos in mind as your best memory? Yes. It was my first goal in the league and it helped us win. I also have in mind the goal against Girona. Adidas, a top company, has relied on you. Has your life changed so much these months? No. It is true that people recognize me more on the street and I take it naturally. In addition, that everyone likes because it means you're doing things right. Every player dreams of that and more to achieve with the club of your life. When we were eliminated from Champions we took it with the maximum motivation and we showed that we want to win it. How is your future with Valencia? I have quite a few years of contract ahead with the Valencia and as long as the club trusts me I want to be here. I work to play in Valencia and to be here. The day the club transmits to me that they want to sell me or give me up will be another story. But I want to play here. How does the costumes treat you? The people are very nice. They have welcomed me very well and it shows both outside and inside the field.